We are very happy to announce, that we are currently rolling out our newest update to our platforms. The Major changes in this update is actually the way how Offers and Goals are setup. Below we are listing the new features and changes including the updated supportarticle for it. Note: all old tokens, Pixels or Postbacks will continue to work. Read the updated Support Article in regards to the new Offersetup. added option to allow multiple conversions for a goal. 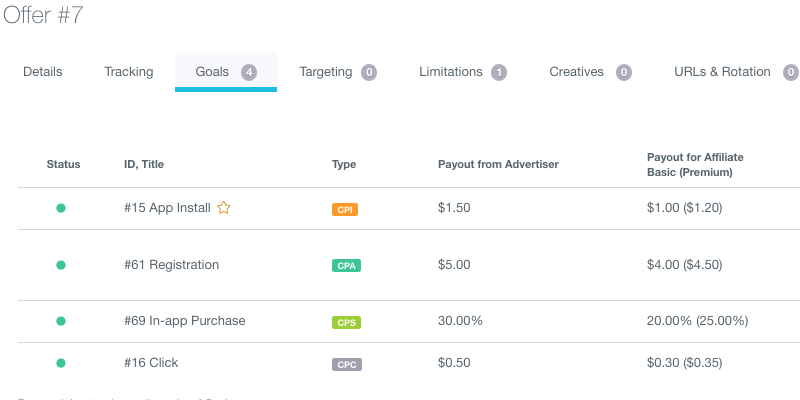 added option to turn off that affiliate pixels are fired on selected goals. Note: all old tokens, Pixels or Postbacks for already existing offers will continue to work. New offers will require the new postbacks or pixels to be placed. Read the updated Support Article in regards to the new Goals. added Whitelist & Blacklist IP for API in Platform Settings. Please check your current used API Calls and have a look at the new articles for them.